Apart from his spectacular success in delivering the promises he made during the general election, President Trump and his administration have been virulently opposed every step of the way by the deep state and their relentless campaign to remove him from office. One unintended consequence of this attempted coup d’etat is the exposure of corruption at the top of America’s once respected and cherished institutions. The Federal Bureau of Investigation (FBI), the Central Intelligence Agency (CIA) and the Department of Justice (DOJ) have been politicized and used to destroy political enemies and anyone they perceive to be a threat to their progressive agenda. Even the Internal Revenue Service (IRS) was politicized and used to go after those they considered to be political enemies. This included the benign Tea Party, a moderate group of patriotic Americans who were falsely painted as red neck extremists in love with their bibles and guns. Its not certain that the American people realize how perilously close they came to the removal of their legitimately elected President. This in turn would have signaled the beginning of the end of their multi-party constitutional republic and the eventual imposition of a single party state. Judging by the new additions to Congress and their radical agenda this would be a single party socialist state but I digress. The danger has not gone away with the exoneration of President Trump and his election campaign team of colluding with the Russians; it will stay as long as the instigators and facilitators of the coup remain at large and in positions of influence. To prevent another attempted coup in the future the instigators and facilitators must be publicly arrested then tried and punished commensurate with the crimes they have committed and for the damage they’ve done to America’s reputation. They must also be held accountable for the damage they've done to the lives of innocent people caught up in the coup. This will not happen unless the institutions charged with an investigation are purged of the place-men and infiltrators that have been instrumental in organizing this sorry episode in America’s history. To restore respect and confidence in these institutions’ justice must be done and seen to be done. No immunity, no plea bargains, no deals. Anyone involved in the coup must be punished by serious jail time and a life time ban from public life. If treason is proved then the time honored punishment reserved such a crime would be in order. A mountain of evidence indicates that the epicenter of the coup was the Clinton Foundation and its associates along with the Democratic National Committee (DNC) and the shadowy organization that created and managed former President Barack Obama. These organizations must be thoroughly investigated but as mentioned earlier this cannot be done until the placemen and infiltrators have been removed and the institutions cleansed of the rot that has corrupted them from within. In addition to the damage done at home, the damage to America’s reputation abroad is incalculable. The image of a banana republic where Presidents can be removed by invisible power brokers is not far from the surface. This sorry episode has made it harder for America’s foreign policy makers and for President Trump as he attempts to deal with despots around the world and those who pose a threat to America and its allies. 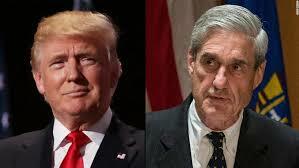 The exoneration of the President and his campaign team by Special Prosecutor Robert Mueller should not be the end of the matter but the beginning. It must be the start of the restoration of America’s most cherished and respected institutions along with its reputation at home and abroad. It will be a long road as the deep state will not go down without a fight. They are fanatically dedicated and their numbers are many. This restoration should be a major part of the President Trump's campaign to Make America Great Again.